Congress is punting a needed gas tax hike in favor of a raid on America’s banks. A $305 billion, five-year transport spending plan was approved by the House of Representatives on Thursday and is heading for the Senate. Rather than raise the U.S. fuel levy, though, lawmakers are plugging the $70 billion shortfall in funding for the infrastructure deal in part by swiping the Federal Reserve’s rainy day fund and dividends it pays lenders. It’s creative, at least. Today’s politicians are mostly loath to raise taxes, and that’s especially the case for congressional Republicans on the cusp of a presidential election year. But there has been no increase in the tax on gasoline, which funds much federal transport infrastructure, since 1993 – even though U.S. drivers pay far less than most developed-world counterparts for fuel. Better vehicle fuel efficiency has reduced takings, too. As a result, the Highway Trust Fund has suffered a rising deficit since 2008. Topping up the tank might only take an extra 10 cents of tax per gallon of gas, about a 5 percent increase on current depressed prices. Instead, Congress is picking other pockets. Lawmakers are lifting $19 billion directly from the Fed’s surplus account, which will henceforth also have to hand over to the U.S. Treasury anything above a $10 billion ceiling. They’re also scrapping the tradition of the central bank system paying its members a 6 percent annual dividend. That will now be replaced by the lower of a 6 percent return and the prevailing 10-year Treasury yield, currently just over 2 percent. Institutions with less than $10 billion in assets will be spared, reflecting Congress’ chosen line between often demonized big banks and generally praised community lenders. Banks are not the only victims. Lawmakers also intend to raid the government’s strategic petroleum reserve for 66 million barrels of oil. They do not plan to reduce the stash below the generally accepted floor of 530 million barrels. But they are reckoning on proceeds of $6.2 billion, which would require the crude oil price to more than double from its current level. The trouble with clever one-off fixes is that they don’t offer a long-term solution to U.S. infrastructure funding needs, while a modestly higher gas tax could. In Washington, though, any doable deal is a rarity that users of roads, bridges and mass transit can be thankful for. Negotiators from the U.S. House of Representatives and Senate on Dec. 1 agreed on a highway bill that will provide $305 billion in funding over five years for roads, bridges and mass transit. The revised legislation was passed by the House on Dec. 3 and is headed for the floor of the Senate. 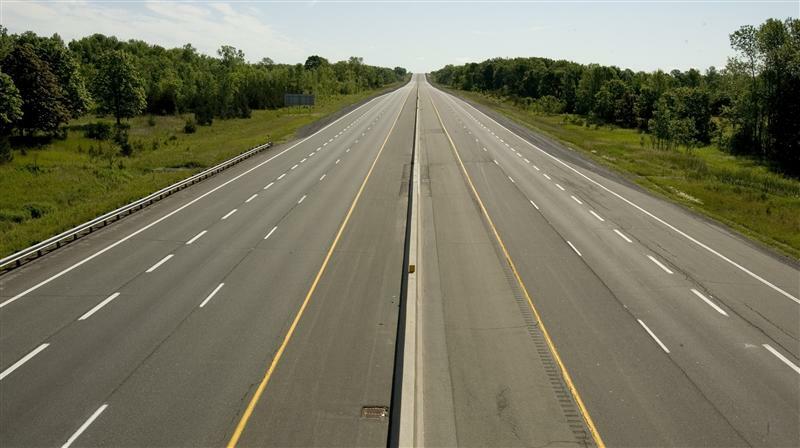 The deal would be the first U.S. highways measure in a decade to last longer than two years. It would also renew the U.S. Export-Import Bank’s lapsed charter until the end of September 2019. A tax on gasoline paid into the Highway Trust Fund is the traditional source of financing for transportation projects. But the levy has not been increased since 1993 and is not indexed to inflation, leaving a projected $70 billion shortfall in funding for the agreed measures. Congress intends to plug the gap in several ways. One would raise up to $6.2 billion from the sale of 66 million barrels of oil from the Strategic Petroleum Reserve, a figure which would require crude prices to more than double from where they currently stand. Another would take $19 billion from the Federal Reserve surplus account, which will then not be permitted to hold more than $10 billion, and replacing the 6 percent annual dividend that banks receive as members of the Federal Reserve System with an interest payment pegged to the yield on 10-year Treasuries – except for banks with less than $10 billion in assets.